Omar Alhaj Ali recently had a dream about his brother Mohammad, who died in last year’s fire in London's Grenfell Tower apartment complex where they both lived. Alhaj Ali, who escaped from the 14th floor but lost his brother Mohammad on the way out, said he has regular nightmares about the blaze - which broke out before 1 a.m. on June 14, 2017. He remembers the sounds from that night - the shouting, the panic - and how the fire inched closer and closer to him and his brother. 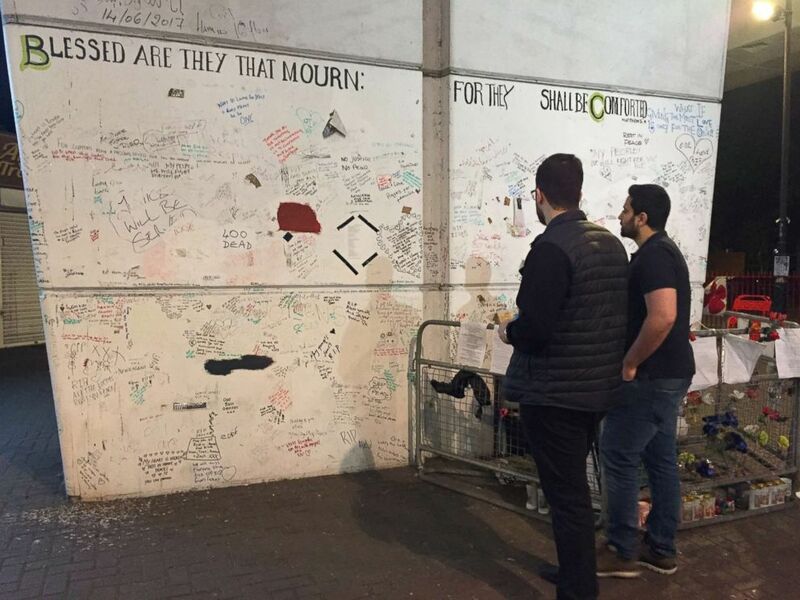 Omar Alhaj Ali and Mahmoud Alkarad look at a memorial for the victims of the Grenfell Tower fire. 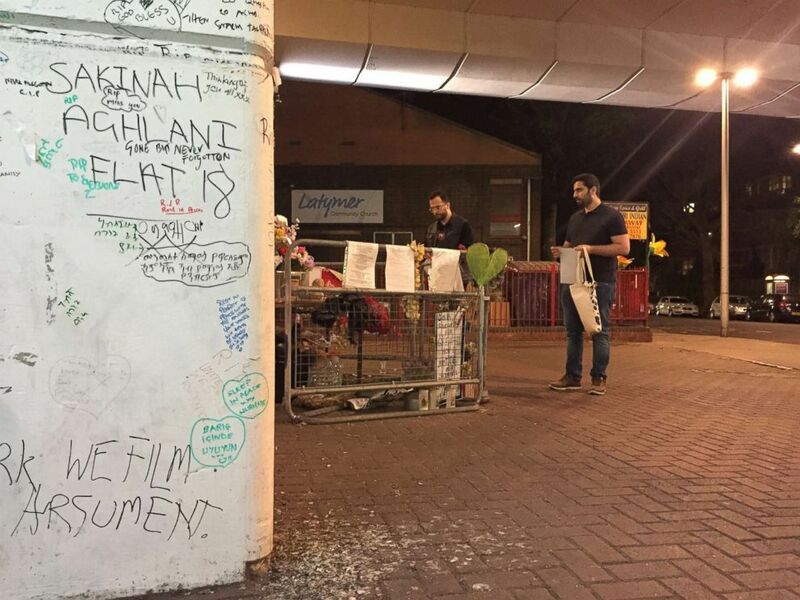 Omar Alhaj Ali and Mahmoud Alkarad walk near a memorial for the victims of the Grenfell Tower fire. 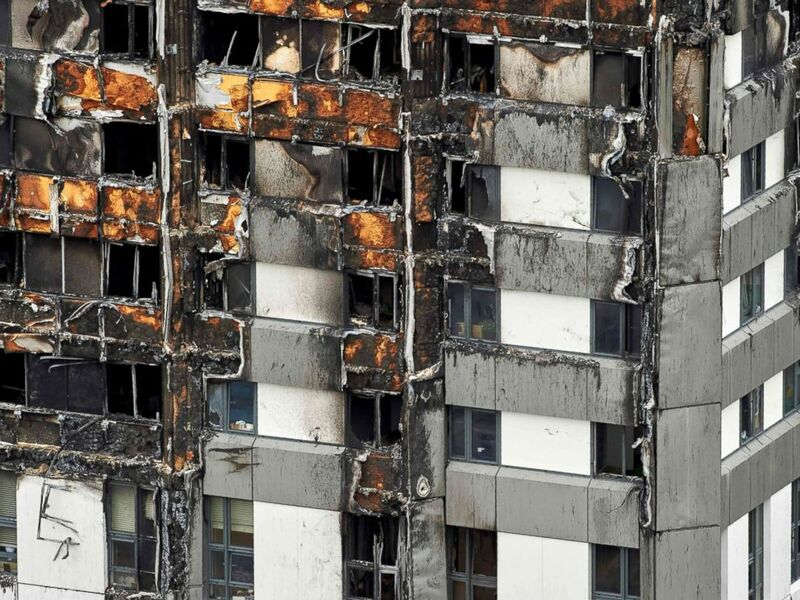 Grenfell Tower is pictured in London on June 22, 2017, after a fire killed 71 people. “He said ‘you moved from your country and...how many buildings in the U.K? It’s your building? It’s unbelievable that it happened to you.’ Every time you run from terrible things, it follows you,” said Alkarad. When the fire alarm goes off in Alkarad's building, he panics, he said. Sometimes when he takes the bus or the train he feels scared that it will crash. 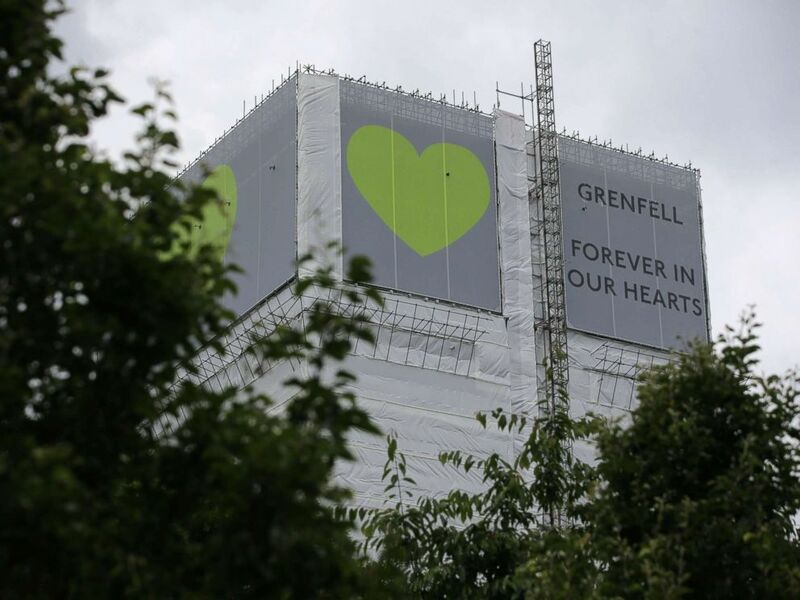 A sign in support of the victims of the Grenfell fire covers Grenfell Tower near Ladbroke Grove, west London on June 13, 2018.